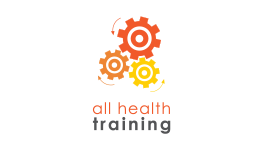 Start on your path to a rewarding new career when you study with All Health Training! Their simulated learning environment will give you the hands-on training you need to build your skills and confidence in aged care, allied health services, disability care and more.Graduate with a nationally recognised, industry relevant qualification and get closer to pursuing a career that makes a real difference to you and your community. Get the skills and knowledge to work in all areas of pathology collection with this Certificate III in Pathology Collection (HLT37215) from All Health Training.